Product code: CW-SCP-18. Category: Square Cushion Pads. I bought the luxury cluster fiber pads. Very well made, plump and a good size. Highly recommended. Awful customer service. I waited 3 weeks for a single cushion to arrive. I had to phone twice to find out where it was – the answer was apparently with the courier. On the final call, I asked for a refund. The girl said the courier eventually told her my cushion was damaged!! seriously!! I got a refund and will never return to this warehouse again! Purchased the luxury cluster fibre, great product, has stayed nice and plump even after use unlike many other cushions I’ve purchased online before. Would highly recommend. Purchased cluster fibre – Excellent product. Really good quality and can’t fault the delivery and service. Purchased Cluster fibre – I bought 5 cushion pads as my old ones were very saggy and floppy. They’ve bought my settees back to new and are brilliant quality. Fast and efficient service and delivery too. Purchased Cluster fibre – I like these cushion pads. It’s not just about price, although that is good, but the fact that the stuffing goes right into the corners and the shape of the cushion is not too puffy and bloated in the middle. When the cover goes on the cushion looks just right and the pad fits it properly. Purchased Hollow fibre – Very impressed with the quality and the quick delivery. Purchased in cluster fibre. Excellent quality, very firm, haven’t used them yet as waiting for new sofas but feels like they should plump back into shape. Read their fillings guide, very useful, they advise one size bigger than cushion cover and they’re right. 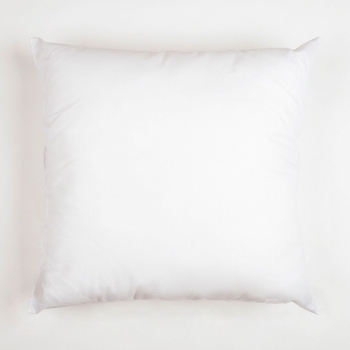 The Luxury Fibre cushion pads are excellent quality and the deliver was efficient. Purchased in Wool. These are superb quality cushions…. They DO NOT smell of sheep. Really plump! Purchased in luxury cluster fibre. Arrived promptly. Very happy with the fill and the way they fit the cushion cover (the sizing advice was really useful). Purchased in the luxury fibre. Would definitely buy again . Purchased the feather filled cushions. Great quality, quick service and delivery and look fabulous in the covers. So good to buy something made in the UK too. Purchased duck feather: I would leave a review if your website let me! Bought the wool ones. Lovely. Purchased: Feather – this is my second purchase of cushion pads which are great, they are really well made and the quality is first class. Just wanted to thank you for these excellent cushions! They are exactly what I wanted after years of putting up with saggy and flat cushions that would not plump up. You have been such a pleasure to deal with as my order arrived correctly and very fast. I would like to give your company and product a glowing review but cannot see how to do this. I will also be ordering more for my bedroom very shortly. I bought the duck feather and down version and I am really pleased with them. The cover is strong and there are no feathers poking through. My only slight issue was that they took a little while to arrive…..but they were definitely worth the wait. Bought in cluster fibre, Very happy with the pads, my cushions now plump and happy again. Delivery was a lttle on the slow side though. Bought these in the luxury fibre and I’m very pleased with them. They fluff up well, have plenty of body, and the cover fabric is very good quality. Purchased in Hollow Fibre. Lovely full cushion pads, and really good advice to choose a size larger than the cushion cover – the result, perfect comfy cushion and really good value! We purchased the 18 x 18 and 23 x 23 luxury cluster filling. The cushions are more impressive, and are perfectly comfortable. We were extremely happy with the swift delivery of the product too. I purchased two cushions with Luxury Cluster Fibre filling, the cushions are really plump and looking good, really happy with my purchase and will definitely order again. (Down/feather) It was pricey but it feels good. No sign of feathers escaping yet. I purchased the hollow fibre 18″x18″. We have had them a few months and are very happy with them. they are firmer but very good value for money. I would also like to say the staff are very nice. I called for some advice and the lady on the phone was very nice. it’s a small family run business. All the cushions are individually hand made and with love. Purchased 2 x 18″x18″ duck feather cushion pads and am delighted with them. Have recommended your company to friends! Purchased in Hollow Fibre. The cushion pad itself is good but I was disappointed with the speed of delivery – it took nearly 2 weeks to arrive! I purchased three cushion pads each with a different filling:- pure duck down, down/feather, feather/down. I am very pleased with all three fillings. My favourite is the pure duck down. It is very luxurious and worth the extra money. Luxury fibre 18″ cushion pads. Well made and very good quality. Purchased in Duck Feather. Feathers haven’t escaped yet. Pillows well filled very happy. We bought 18″ x 18″ wool cushion pads, which are excellent! 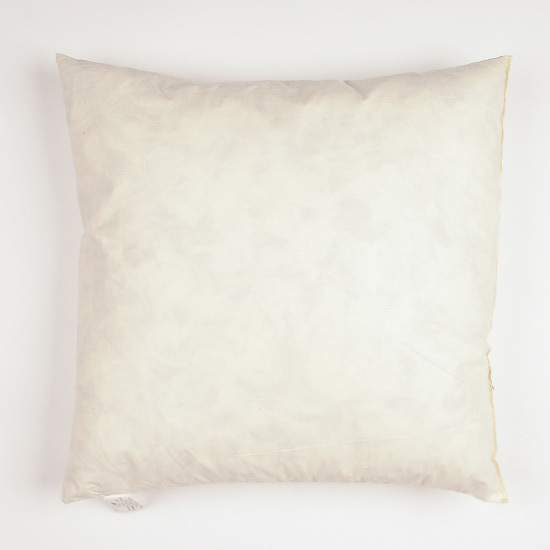 Great quality, natural feel… Cushions now look good and they are joy to use. Purchased in Wool. Great high quality product!